Which Shutter Style Is Best? There’s a lot to consider when choosing the perfect shutters for your home. Your budget, the shape and size of the window, the style of your room and property are all key factors to consider when deciding on the best shutter style for your needs. Whether you want to let in as much light possible, have concerns over privacy or require the perfect balance of both light and privacy control, Shutters By Design guarantees to have the perfect solution for your needs. Full height shutters are one of the most popular shutter styles around. Their sleek design can elongate the look of your windows or patio doors for a clean and elegant appearance. If you want to gain privacy on the lower half of your window without sacrificing the light at the top, then café style shutters are the perfect edition to your home. With their continental chic style, café shutters are a trendy option for decorative feature windows. If you’re looking for something with more flexibility and would like to operate the top of your window shutters independently from the bottom, tier-on-tier shutters are an ideal fit for your needs. Incorporating all the benefits of café style and full height shutters combined; tier-on-tier shutters are a popular choice for bay windows. Our S:CRAFT plantation shutters are all made-to-measure to ensure the perfect fit. Available in 6 premium materials and a range of colours and wood stains, we have an option to suit every budget, style and taste. 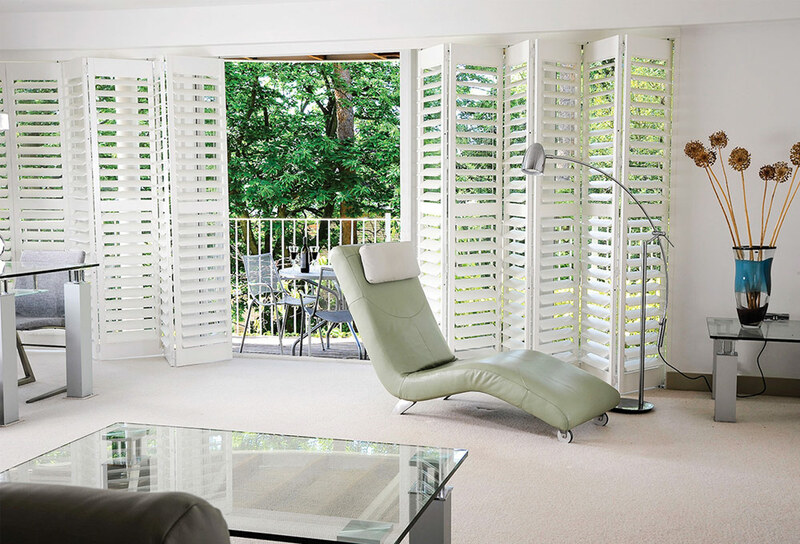 White window shutters are a highly fashionable and flexible design choice for your interiors. Creating an illusion of space and light, white wooden shutters provide the perfect blank canvas for switching up your room style with colourful furniture, artwork and accessories. If you prefer the natural look of wood, a stained wood finish will enhance the natural grain of your wooden window shutters. We also provide a custom colour option to match any high street paint for the ultimate feature window. Our custom colour window shutters are a particularly attractive option for children’s bedrooms. We offer convenient in-home consultations to discuss the best shutter options for your windows. Call us on 01270 619 006 to arrange an appointment and get a free quote for your window shutters.